And The Winner Of Underwater Dogs Is...! 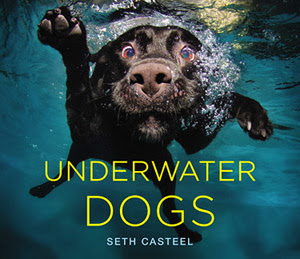 Who will be the lucky winner of this super cool book, Underwater Dogs? We again visited our old friend, the Random.org and their handy, Random Sequence Generator to let us divine the answer. The #5 comment was posted by Amy B. from Wisconsin, who, although she initially posted anonymously, wrote an addtional message on Facebook, inquiring how to post correctly. Thanks for the explanation, Amy and congrats! 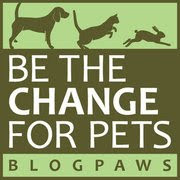 Let's all put our paws together in a round of applause for Amy B.! We'll contact you through Facebook for your mailing address, Amy. Big Oops on our part, Mallory-you are correct and we were wrong! But, let me , explain what happened: The first time we ran the Random Sequence Generator, the #4 came up first, but instead of copying it, we created a Tab for the page, then went to see who the number four comment was. Since it was anonymous, we did some checking and found that number 4 was Amy B, as she explained in comment #6 (not five as we thought and said in our post), then went to ur FB page to check to see if she'd given us a shout out and we found her two comments explaining her attempt to post with a name. Unfortunately, we hit the close button and the Tab we had saved from the RSG was lost. We ran the sequence again and up came #5, which we wrongly attributed to Amy's second comment and announced Amy as the winner. If the #5 comment was from someone who had legitimately entered, we would have given it to that person after you kindly pointed out our error, but since it cannot be given to #5, we'll just give it to the original winner, #4, which is Amy. Unfortunately, you'll just have to beleive us on this explanation,...but if you know Parental Unit, like I do, you'd know that she's always closing pages and having to start all over! We do profusely apologize for this confusion and thank you for pointing out our mistake. @ Bocci - No problem, I totally understand :) My computer freaks out at me ALL the time (or maybe it's just Me lol)- Thanks for explaining, just wanted to double check! 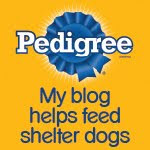 Glad I found your blog!! - and Congrats to Amy! Yahooo!